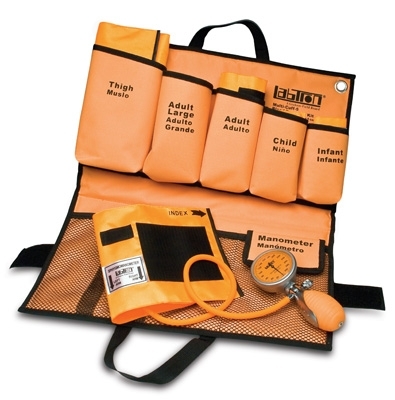 Compact orange multiple blood pressure cuff kit including nylon infant, child, adult, large adult, and thigh blood pressure cuffs Durable, aluminum manometer with large, easy-to-read 65mm dial, 1-tube inflation bladder, integral latex-free, ribbed inflation bulb with dust filter, and deluxe push button air release valve The rotating bulb and valve creates the ability for ambidextrous use Includes extra storage compartment with hook and loop type closure . Latex free. 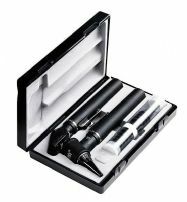 in padded nylon case with velcro closure and belt loop Plastic tubes each with five reusable 2.5 mm and 4 mm ear specula. 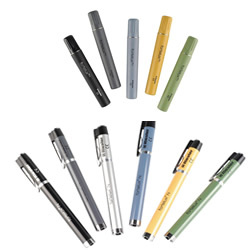 Battery handle type AA for two batteries type AA. Batteries not supplied. 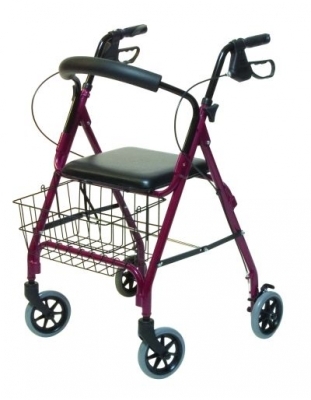 4 point base, combined with offset handle provides additional stability and support. 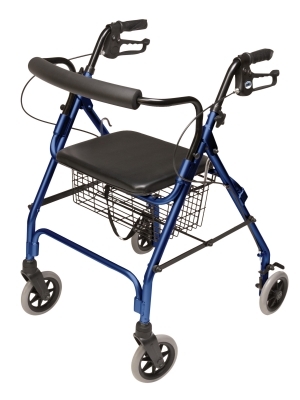 Easy-to-use, one-button height adjustment with locking bolt, allows quick, safe fitting. Height adjustment 30" - 39". No assembly required. 300 lb. Weight Capacity. Limited Lifetime Warranty. 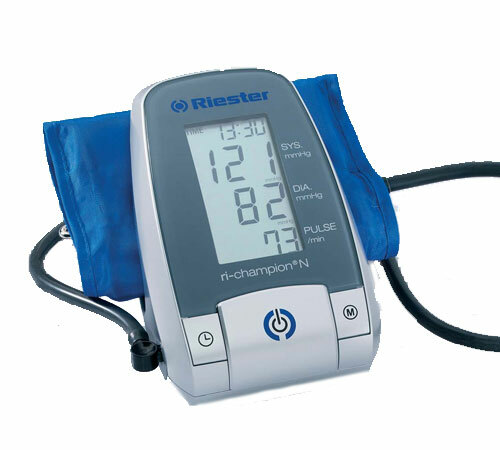 ri-champion� N: Fully automatic digital blood pressure monitor for precise and fast measurement. 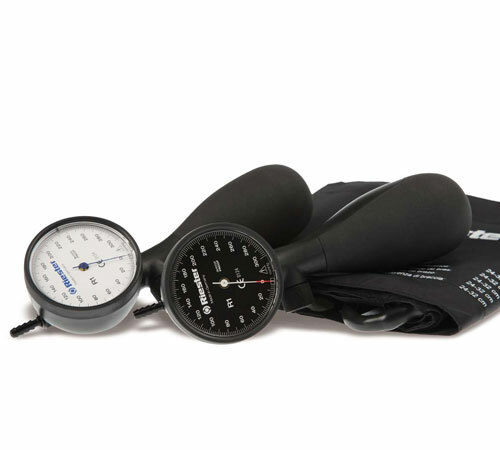 The clinically validated device according to BHSstandard A/A offers beside an easy handling and irregular heartbeat recognition also 99 memories, pulse tone, date and time. 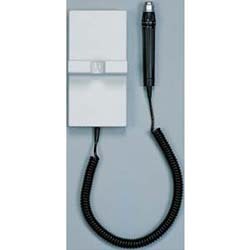 It operates with AA-batteries (included) or an optional mains adapter. Shock proof. Exact precisioin that lasts a lifetime! 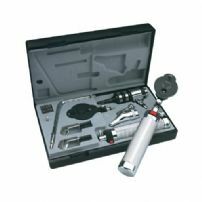 � Patented (pending) shock-proof technology � Patented (pending) air duct for stable pointer movements � Fast, ergonomic inflation due to optimized bulb design with integrated spoon � Non-resistant opening of air release valve ensures precise and comfortable operation � 5 years warranty on calibration.